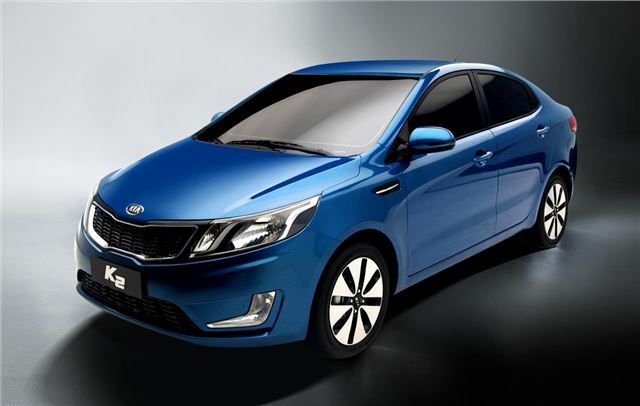 Kia has revealed a new model for the Chinese market called the K2. It’s based on the upcoming Rio, which is due to arrive in Europe in later summer 2011. The K2 is a joint venture with Chinese company Dongfeng Yueda, which will manufacture the car. It’s being sold as a premium small car, a segment which makes up 16% of the Chinese market. The K2 is the first car in Kia’s new strategy, which aims to satisfy regional tastes and requirements by developing and marketing specific products that fit local needs. While based on the same platform as the upcoming Rio, the K2 has been redesigned completely to suit the Chinese market, with styling cues from the larger Optima. The K2 will be available in six trim levels and with either a 1.4- or 1.6-litrepetrol engine with either an automatic or manual transmission.